The best thing I had created in my entire life is my daughter. She thought me how to love unconditionally, how to be patient, she made me realise that my life has never been complete until she was born. So, motherhood made me a better person. 3. Paris or New York? I think I've never talked about how I moved to USA so this is my opportunity to share with you this quick story: First, let me tell you, I have never dreamed about moving to USA, probably because I didn't speak English, not even one word, haha. I could only speak my language, Georgian, also Russian, and French. I started learning English only few years ago. but let's get back to the subject, how I moved to USA. So, I was about to go to Paris to get my another master degree from Sorbonne university, everything was ready, I was just enjoying last few months with my family before moving to Paris. But one day, my, now-husband 's proposal changed all my Parisian plans. He wanted us to get married that meant that I had to move to USA. So, as you can guess, I chose love over the college and instead of Paris, I moved to New York City. (we recently moved out the city to raise our daughter in quieter environment, we are only 20 minutes away from NYC). 4. Do I believe in destiny? I still can't decide whether I belive in destiny or not, but sometimes, when I think about how me and my husband met and soon, got married, I belive there must have been some kind of destiny that my life had changed so unexpectedly: One day, I decided to start learning English, so I took English classes. Few months later, my now-husband was visiting my country and we met accidentally in a formal situation. Even though my English was still at a very ridiculous level, we started talking about the subjects that I was interested in, as a reporter that time, and soon, after he came back to USA, he realised that he missed me.. We continued talking for hours on the phone and on Skype, every single day. That was an excellent practice for my English, haha. 3 months later he proposed me, and few months later he came to Tbilisi so we could get married. 1 year later, I moved to New York to start a real family with him. So, yes, it was kinda fairytale, haha. My number one hobby has always been reading. I just couldn't be without books, especially that we didn't have internet when I was growing up, so at the age of 12, I had read almost all the books from my family's huge library. Unfortunatly, I don't read that often anymore. I always loved playing piano or guitar and sing, especially if I was feeling down, that was helping me feel better. Skiing and racing are my another hobbies as well. Thanks for reading beauties, wishing you all a lovely day. That's amazing , you are learning Spanish. Thank you for your wishes , Tiffany, you are so sweet. Wow! First off, I'm sorry you had to experience such rejection growing up from your father. I've had a similar experience and I know how hurtful it can be. I hope there has been a mend in your relationship. If not, just know that you've become such a strong and intelligent woman and that's something to be proud of. What a romantic story behind you and your husband meeting, which I do believe is a testament to there being such a thing as destiny :) Thanks for sharing these facts about you, it was a pleasure getting to know more about you! Wow! Your story about meeting your husband is so cute! I'm not sure whether I believe in destiny or fate either but it's stories like yours which make you think. I know what you mean, sometimes I think, what made me decide to start learning English? If I didn't do it, I would never be able to communicate with my husband, even if I met him in the same situation. Interesting post and your daughter Lima is adorable!!! Yes! I haven't been reading much lately between the gym, work, giving my boyfriend my attention and sleeping BUT I will be back to reading three to five books a week soon. I miss books. I know, it's so difficult to find time for reading when you have too many things to do during a day. Thansk so much , gorgeous. Lovely post. Meeting you for the first and knowing this much about you is an honour. Thank you for sharing. So nice to learn more about you! Your daughter is adorable! 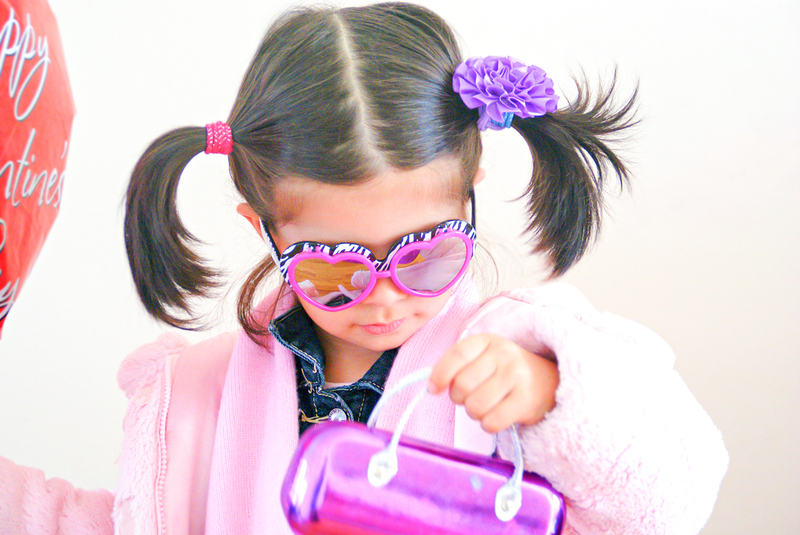 Your daughter is adorable and at this age they all love to dress up! My god-daughter is 6 and by the age of 3 she started dressing up by herself, she chose all her clothes and accessories (she would not leave the house without wearing a necklace haha)! I know, they love dressing up. Lima too, she chooses her outfit every day. That would be wonderful if you write about yourself too, Pam. Can't wait to read it. Thanks so much for sharing! Can't believe that you recently learned English! Your blog is so good and I would have never of thought. Love always wins in my opinion. You daughter is so beautiful and she is a testament to that. Thank you so much Kathrine, you are so sweet. Lovely post!! Is so cute! It's really lovely to know you a little better, Nina and thank you for sharing. I can't believe you only learned English a few years ago, you write beautifully. I know how is it to grow up with a parent who never think you're good enough, my mum was the same. She's better now as she is much older but my childhood was hell. That's awful, you had gone through the same, in your childhood, Shireen. I love reading too! And I love how romantic your story of how you moved to New York City is! So good to get to know you a bit better! I knew about Tbilisi and your daughter, but not about your degree, your plans about Paris, hobbies and how you met your husband. Yes, a beautiful fairytale story and you see, that is destiny :) Reading is also a big part of my life (coincidence, I wrote about it for a post, yesterday) and I am sure your father loves you a lot. Maybe he just doesn't express, but family is always family. I am glad that your daughter brings you a lot of joy and you are really amazing! Hope you have a great day! Hugs! Thank you dear Denise. Unfortunatly I will never be able to find out about that because my father passed away 9 years ago. Loved learning more about you, babe- and how cute is your daughter?! What a great post! I always love reading about the lives behind great bloggers. It is so inspiring that you didn't let parental disappointment put you down but instead you achieved so much. Many parents wish for their kids to be a certain way or of a certain gender, but we are the way we are- they need to accept us as we are. My parents were often very critical of everything I did while I was growing up, but I guess that at this age I don't care that much about their opinion. The story how you and your husband met is so romantic! So sweet how you met and continued to keep in touch on Skype even if you lived so far away. When two people love one another, distance isn't important. I think there was some research that showed that couples who spent a lot of time talking to one another on internet often stay together. Your daughter is so cute btw! So, you speak Georgian, Russian, French and English? That's amazing. I'm only fully fluent in English and Croatian, I can speak some other languages but only to a degree. Russian is one of the languages I would like to learn...and I would like to hear what Georgian sounds like. I know that it belongs to a special language family but that's about it...and I saw the script... In fact, I really like the Georgian script, it reminds me of glagolitic script (both of them were modeled after Greek script if I'm not mistaken). You are right, parents often criticize their kids, thinking that way they can made them better people but that's not right way to raise kids. I never critisize my daughter, on the contrary, I encourage her to do right things. I'm happy, you got so curious about Georgian language. I wish I was visiting my country often, I would invite you to see my city. Thank you for your sweet words, dear. Oh this was a great post, I loved reading all about you, and living in NY maybe we could meet for dinner of coffee one day. We recently moved out from city because of our daughter, but I'm only 20 minutes away from Manhattan. I would love to meet you for a coffee or dinner, sometime in Spring, when it's not freezing. That would be wonderful. You speak 4 languages!! Wow! This was very interesting, thanks for sharing!! It is so interesting to know more about you. I personally love NYC and wish to move here one day! So nice to get to know you. Lovely post! Was great to find out more about you. So great to get to know you more darling. I'm very sure your dad is so proud of you. Sometimes males struggle with showing their true emotions. You sure have a fairy tale story and your daughter is adorable! That photo of your daughter is so cute! Great post! It's so nice to get to know you a little better! How interesting you were at one point choosing between Paris and NYC - sometimes fate has a funny way of helping us make decisions :) It's lovely to learn more about you Nina! thanks for sharing these little things about yourself! Your story is so touching! It made me feel so sad, when you mentioned your father wanted a boy. And how you went through years trying to please him. He should've been very proud of you & all of your accomplishments. So glad you met someone that loves & cherishes you. You have a beautiful family and NY is a wonderful place to live. Thanks for sharing your story. You are right, KIm, it was not easy emotionally, thinking and seeing for years, that I was not as loved as i deserved. Thank you for your sweet words, dear. Such a cute story!! Love doenst see distance! The story about how you met your husband is so cute. It was great to learn more about you. Similarly to you, I did my masters degree in Media. That's so nice, you have your degree in Media as well, Izabela. Your story is so similar to mine about your dad and trust me I know how you feel, on the bright side you have a loving husband, a beautiful daughter and so much more that you have achieved, I believe in destiny because I might also move to USA from Africa because of the guy am dating. I am so proud of how much you have achieved through your hardwork, always know you matter! Wow! I really had no idea that you were a momma too! Your daughter is the cutest and I love reading too! Thanks a lot, Vanessa, you are so sweet. Such a lovely story about you and your husband! Thank you dear Len . Its so great to get to know you better and your daughter is adorable! Do you get back to Europe often? Not very often, I went to Europe twice, since I moved to USA 7 years ago. thanks for the honest post ! lovely.. I really enjoy these posts, it's nice to know more about the person behind the blog! very interesting info! thanks for sharing. My fave answer is about destiny! I really enjoyed learning these 5 things about you. My family is from an Eastern European country as well . . .I am the oldest girl of 4 children because my father HAD TO HAVE IS SON. So, I feel you I hope as you got older things changed like with my dad. I can imagine your situation.. but I'm glad, things have changed with your dad. Wow you have had an interesting life. My mom had a similar experience being a girl in her family (she is Korean). I can't imagine moving to a country where you don't speak the language, but it seems like you are doing amazing! Loev the story about how you met your husband, and your daughter is so cute! At the begining it was very difficult,Anessa, I had no friends or family with me, but then I got used to. Thanks so much dear, thank you. your english is pretty amazing now and your daughter is just so cuute! Loved this post - it was great to find out more about you! I'm so sorry about the difficult relationship you had with your father and I hope he eventually came to appreciate you and be proud of all your achievements. I loved reading about how you met your husband and your daughter is so gorgeous! Such a lovely post and I love how you reflect on things, it really is a nice way to be able to look back and see how things worked out and how other things might not have worked the way you imagined but for the better! What a fascinating story! You've overcome a lot in your life and achieved so much!